The Basque squad participates for the fourth consecutive year in the Andalusian round, which will take place from 20 to 24 February. They already have confirmed runners. The Euskadi Basque Country-Murias Taldea has announced that it will be in the 65th Andalusian Cycle Tour of the Sun Route, Hors Categorie test that will be held from 20 to 24 February 2019,, this being its fourth participation in the Andalusian round in which its sports director, Jon Odriozola, has signed Mikel Bizkarra, Beñat Intxausti, Mikel Iturria, Óscar Rodríguez, Sergio Samitier and Enrique Sanz along with Juan Antonio López-Cózar from Granada. In this way, Jon Odriozola, former professional runner for a decade , who has worked in Gewiss, Batik, Banesto and Kelme, "has been trying for many years to make the basic work of Basque cycling culminate in a sustainable project shared by Basque society and, little by little, the team is consolidating itself to be a reference in the Spanish peloton ", Joaquín Cuevas, general director of Deporinter, organizing company, points out. 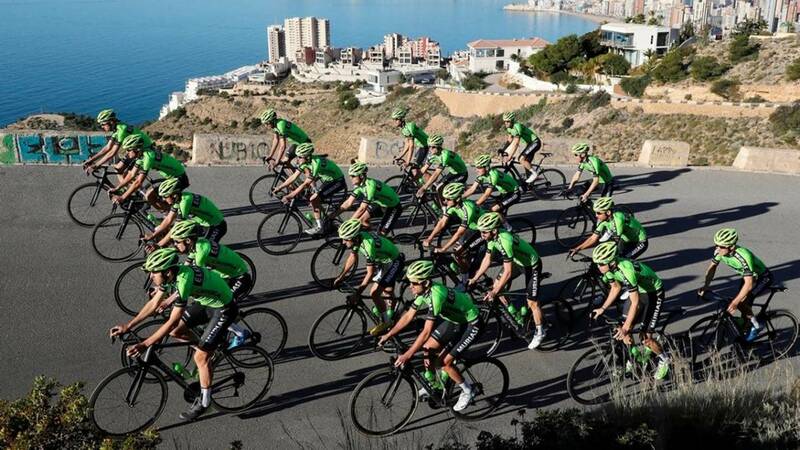 In this sense, the one that he was also sports director of the Euskaltel-Euskadi, is achieving that the Basque squad has more and more presence in the competitions and continues betting on the Ruta del Sol after having been in 2016, 2017 and 2018. Mikel Bizkarra, with 29 years is his fifth season in the team and it will be his third performance in the Ruta del Sol. He previously ran in professionals with Orbea and Euskadi. In 2018, in the Vuelta a Aragón, he won the queen stage, played between Sabiñánigo and Cerler. He was third in the overall and won the Premio de la Montaña. Beñat Intxausti, vizcaíno cyclist who at 32 years has accumulated 13 seasons as a professional in which he has run with Fuji, Euskaltel, Movistar and Sky. In his track record stand out victories of stages of the Giro d'Italia, in 2013 and 2015, in addition to having won the Tour of Asturias, with stage included; In addition, he won the Beijing Tour in 2013. It will be his seventh participation in the Vuelta a Andalucía, where in 2015 he made third of the overall number. Mikel Iturria, Guipuzcoan runner of 26 years, will fulfill his fourth season in the team and will be his second participation in the Andalusian round. Óscar Rodríguez, 23-year-old Navarro runner who makes his debut in the Ruta del Sol, will complete his fourth season in the team, the last three as a professional and the first as 'stagiare'. He was the first team rider to have won a stage win in one of the big ones. It was last year in the thirteenth stage of the Tour of Spain, having achieved the second place in the classification of young people in the Vuelta a Portugal. Sergio Samitier, 23-year-old runner from Huesca who adds his second season in the team and repeats in the Vuelta a Andalucía. Enrique Sanz, 29-year-old runner from Pamplona, will compete for the third time in the Ruta del Sol. He arrived last season from the British Raleigh-GAC, having previously worked in the Italian team of Wilier-Southeast and in the Movistar. He was champion of Spain of junior route. He also won in a stage in the Tour of the Community of Madrid and the Northwich Classical, in the United Kingdom; and last season he crowned a stage in the Vuelta a Portugal. Juan Antonio López-Cózar, 24 years old and born in the Granada town of Loja. Nicknamed 'Chupete', will be his second season as a professional and repeats in the Andalusian round. He began running in the top category with the Euskadi Foundation, from which he proceeds to participate for the first time with the Murias.